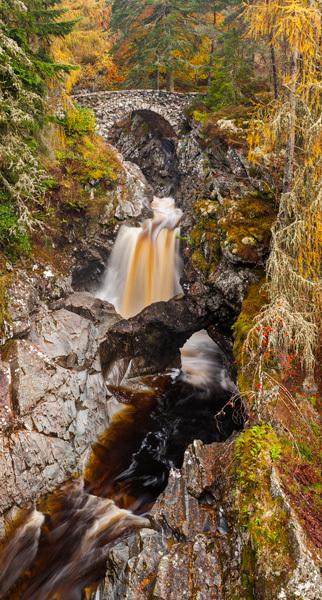 The Falls of Bruar are truly at their best after rainfall in Autumn. The peat stained water gathers a pace as it flows down the hillside, under the bridge and carved rock natural arch, towards the floor of the glen below. A succession of waterfalls, deep pools and mixed woodland make it a delightful walk, with new vistas opening up at every turn. Photo © copyright by Graham Chalmers.